His name is Elvis Chidera and he is 16 years old. If his name rings a bell, you probably remember him as the 14 year-old Nairalander who claimed to build this Bulk SMS app from scratch, writing J2ME code solely on his mobile phone. While many doubted his true identity at the time, particularly due to his uncanny hustler spirit, he has since proven himself to be legit. So Chidera is not new to tech. 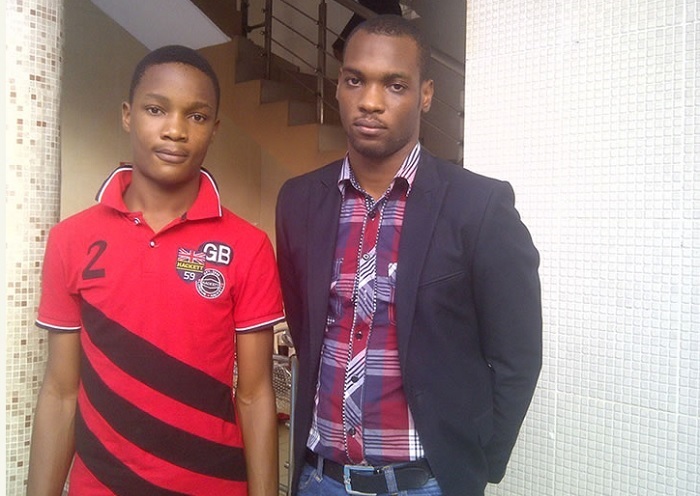 In fact he claims he has been coding since he was 11 and is now proficient in Java, J2ME and PHP. He even knows a little Python. He is what you would call a prodigy. XMX Me, Chidera’s Bulk SMS service died a natural death due to lack of funding. But he hasn’t let that deter him. Chidera has apparently picked up robotics. He recently posted a demo of his first robot, which he built using an advanced Arduino starter kit. If you ignore the sub-par photography (he shot it on a 2MP camera and admits to his horrible photographic skills), it’s quite interesting what Chidera has managed to build. In the first part of the video, he shows the robot auto-navigating using ultrasound detectors. In the second part, he’s shown controlling the robot from his laptop via Bluetooth. Chidera says the project cost him at least 25k, which he spent on shipping the Arduino kit from China. He has also started a tutorial thread on Nairaland to share how he built the robot.